Sheraton Hua Hin Resort & Spa is situated on Cha-am beach north of Hua Hin where memories are made at every turn. From entertainment for the entire family to inspiring conference venues, it is the perfect travel destination for family escapes, wellness holidays, destination weddings and business events. Relax beside the vast 4,600 square meter lagoon-style pool, spark your children’s imagination with games and activities at StarClub and indulge your senses at ShineSpa while our team is on hand to ensure the finest service. All 240 guest rooms and suites are designed to ensure maximum comfort and feature the famous Sheraton Signature Bed, generous balconies, a bathroom with separate shower and bathtub, ample amenities and sustainability features. 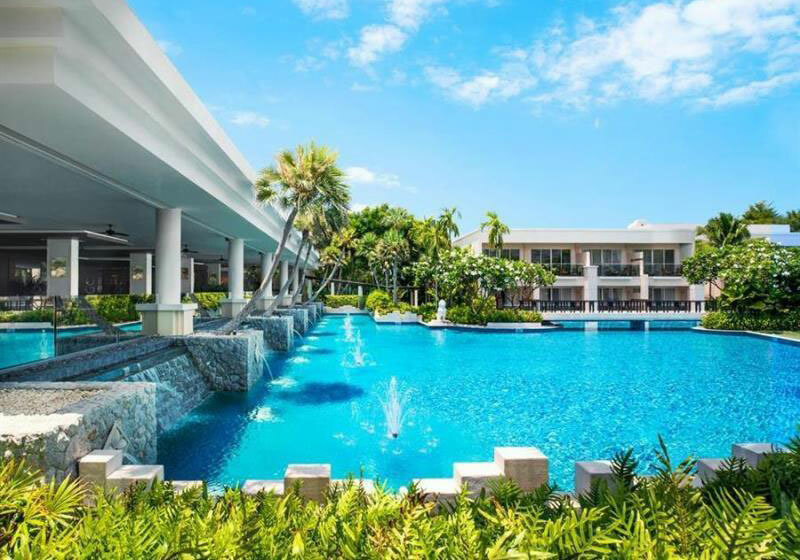 Short Description: Sheraton Hua Hin Resort & Spa is situated on Cha-am beach north of Hua Hin where memories are made at every turn. From entertainment for the entire family to inspiring conference venues, it is the perfect travel destination for family escapes, wellness holidays, destination weddings and business events.